Winner of the READER’S FAVORITE – BEST IN CLASS – 5 STAR AWARD!!! Posie now finds herself on a hunt for something else. What could it be.....? A 74 page 5" x 8" (12.7cm x 20.3cm) Hardback - ideal as a stocking filler - printed from sustainable forests to ISO standards. A GREAT READ NEW AUTUMN READ FOR CHILDREN AND THE YOUNG AT HEART! Welcome to the Second Book in the Whimsy Wood Series! 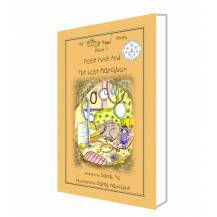 Watch video review of Posie Pixie books by Evie, aged 8 (opens in new window).
" A magical whimsy world with the most wonderful descriptions to capture a child's imagination. 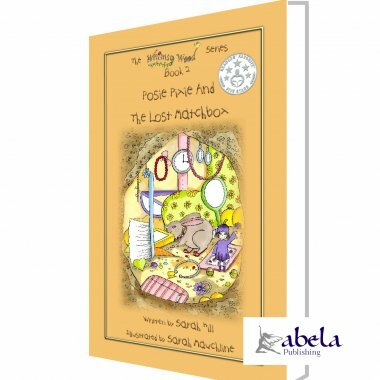 'Posie Pixie and the Lost Matchbox' is the perfect book to ignite a love for reading. " Laura Willcox, Year 2 Teacher, St Joseph's Catholic Primary School, Devizes.
" Whimsy Wood - A magical and inspiring place where good things happen, and treasures can be found in the oddest of places! Posie Pixies unusual finds enlightens one to the concept of everything and everyone having a purpose in life. Engaging, whimsical and endearing, Posie Pixie takes us on another adventure in her enchanted forest Whimsy Wood, to once again capture the heart and true magic of kindness and friendship. " DBR Books, NEW York, USA. 10% of the net profit from the sale of this book will be donated to The Wildlife Trusts.